What does the murder of Pavel Sheremet say about contemporary Ukraine? Two years after EuroMaidan, Ukraine's culture of impunity remains a deadly threat to freedom of expression. This statement followed the disclosure of private information about thousands of journalists accused of collaborating with “terrorists” in eastern Ukraine on a website controlled by Anton Herashchenko, a Ukrainian MP and advisor to Ukraine’s interior minister. Journalist Pavel Sheremet, who attended that press conference, later quipped that the press managed to throw a few buckets of ice into the warm bath prepared for the president. Six weeks later, Sheremet was assassinated in downtown Kyiv, just steps away from several European embassies. 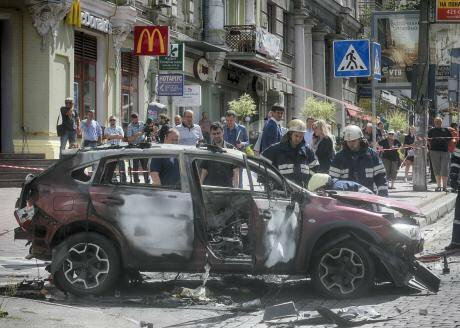 The manner of his murder — a car bomb during the morning rush hour on a busy intersection of the Ukrainian capital — indicates a brazenness never seen before in the crimes against Ukrainian journalists. The notorious murder 16 years ago of Georgiy Gongadze, the founder of the news website that Sheremet later worked for, happened under the cover of night in a wood on the outskirts of Kyiv. The murder of Sheremet demonstrates the trajectory that the Ukrainian state has followed in recent years — from a regime that encouraged clandestine killings to an environment permissive of public executions. Whoever the organisers and the perpetrators of Sheremet’s murder are, such an outrageous crime became possible only because of the system of impunity created and nurtured by the current Ukrainian authorities. Over the last two years, Ukraine has experienced an unprecedented spiral of political killings and human rights abuses, most of which remain unresolved or even completely ignored by the Ukrainian government. The two most prominent cases — the massacre of protesters on Maidan and the killing of demonstrators during the riots in Odesa — remain stalled, with the OHCHR noting “the lack of progress” in all of its recent reports. There has still been no justice in the murder of columnist Oles’ Buzyna, the former editor-in-chief of the newspaper Segodnya, who was shot dead near his home in Kyiv in April 2015. The suspects, who are affiliated with the far right group C14, were released from detention on bail under pressure from various political groups. The Ukrainian government has consistently denied allegations of arbitrary detention and torture of Ukrainian citizens by its security service (SBU), despite UN observers’ conclusions that these are “deeply entrenched practices”. They have also refused to recognise the existence of secret detention facilities even in the face of detailed evidence to the contrary just released by Amnesty International and Human Rights Watch. The calls of human rights groups to investigate the indiscriminate use of banned weapons against civilians in Donbas have been utterly ignored. The investigations into mistreatment of Ukrainian citizens by members of paramilitary battalions and their effective prosecution are very rare. 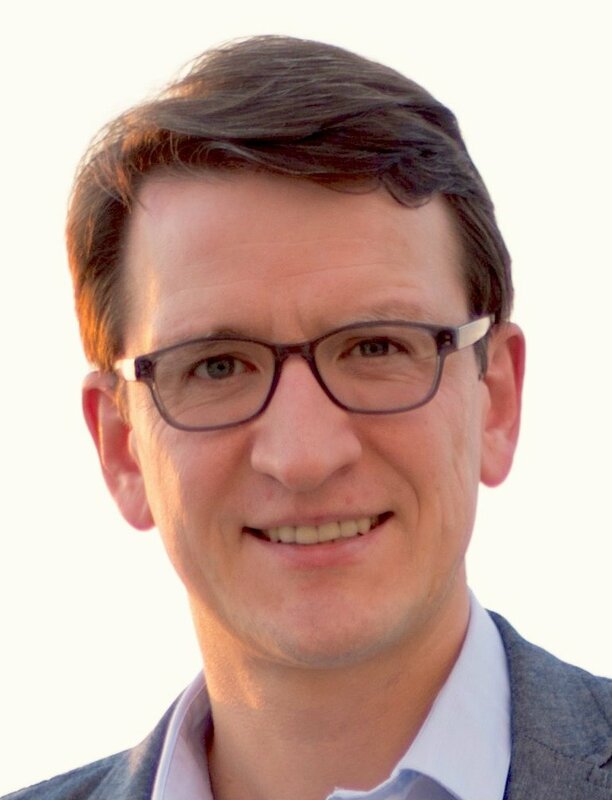 When they do happen, as in the recent case of an Aidar volunteer battalion commander, political actors often interfere and put pressure on judges to release them. Even corrupt elites tied to the previous regime consistently manage to escape Ukrainian law enforcement. The main suspects in two high-profile anti-corruption cases — Serhiy Kliuev and Oleksandr Onyshchenko — fled the country with no attempt on the part of the SBU to stop them. In fact, in the two years since the Euromaidan revolution, which began as a popular uprising against state-sponsored violence and graft, no major government official or oligarch has faced trial in Ukraine. 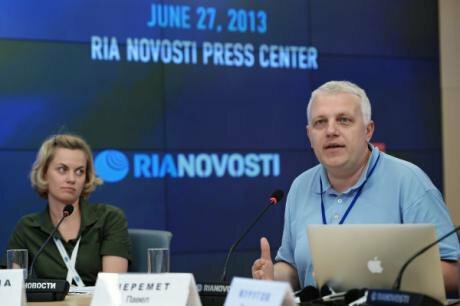 2013: Pavel Sheremet takes part in "Media of the future" conference at RIA Novosti. (с) Ramil Sitdikov / RIA Novosti. All rights reserved.This lack of accountability encourages continued violation of basic civic rights and freedoms. Since the start of 2016, members of volunteer battalions have been involved in violent attacks on three Ukrainian TV channels in Kyiv, which they accused of political subversion. Defamation of some journalists, including Pavel Sheremet, continues unabated. The Russian language radio station he worked for, Radio Vesti, has been at the centre of several scandals regarding its allegedly “unpatriotic” messaging. President Poroshenko’s response to Sheremet’s murder shows that he remains seemingly impervious to the culture of impunity that has become pervasive during his rule. In language startlingly similar to how Russian officials explained the murder of opposition politician Boris Nemtsov, Poroshenko accused unnamed forces of trying “to destabilise the situation in the country”, stressing that “foreign interests” could be behind the crime. A similar instrumentalised framing of Sheremet’s killing was immediately adopted by other top law enforcement officials in Ukraine. They seem keen to lay the blame for the murder on “external enemies” even before the investigation began. By pursuing this route, they will create an even more propitious climate for future crimes against political and civic activists that could always be pinned on “foreign agents”. The US and European governments, which earlier expressed shock at the news of Sheremet’s flagrant murder, should not treat this as an isolated incident. Rather, it reflects a broader systemic problem with the lack of universal justice and accountability in the Ukrainian state. So far, the west has remained indifferent to Kyiv’s failure to investigate numerous other political crimes and human right abuses committed on Poroshenko’s watch. Without addressing them head on, the focus on Sheremet’s murder will hardly lead to a meaningful change in Ukraine’s selective administration of justice. In a country with politicised courts, inefficient police and deeply corrupt prosecutor offices, political ties and stacks of cash will still provide impunity for any kind of crime. Sheremet understood this better than anyone. In an article last month, he publicised an appeal of small businessmen who described the continuing lack of accountability for prosecutors charged with stealing their property. How can ordinary Ukrainian citizens victimised by the state attain justice, Pavel Sheremet pondered, if officials committing the most egregious and well-publicised crimes still go unpunished? Want to know more about what's happening with freedom of expression in Ukraine? Read about how "uncivil society" is shutting down debate and making life harder for journalists here.